According to recent reports, sections of the Glasgow School of Art will be disassembled over the coming days. 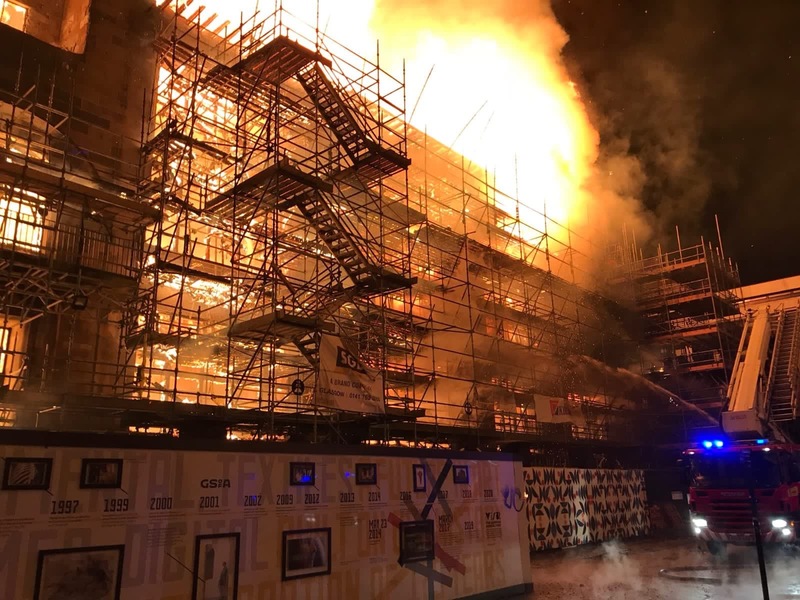 Officials studying the June 15th blaze have observed a larger degree of settling and movement among the remaining sections of the building than originally anticipated, enough to prompt the investigative team to begin dismantling the south facade of the main library building, The Guardian reports. The deconstruction efforts will be aimed at preventing the structure from causing more collateral damage and to avert any injuries or loss of life that could occur if any of the building’s bricks were to come loose and tumble down to earth. The areas around the school have been off-limits to residents, businesses, and the public since the blaze, which consumed almost the entirety of the library building, including sections that were still under renovation following a 2014 blaze that also caused extensive damage. Nearly all of the elements replaced via the £37 million restoration have been lost in the most recent fire. Investigators have been comparing on-site measurements and documentation with a highly-detailed 3-D model that was created of the building for the most recent restoration in their efforts to ascertain the extent of the damage. The world-famous Glasgow School of Art building was originally completed in 1909 by Scottish architect Charles Rennie Mackintosh. As elements of the building are disassembled and the investigation into the fire continues, debate within the architectural community has shifted toward whether—or how—to restore or replace the historic structure. Architectural historian Alan Dunlop has advocated against “replication” of the school while art historians and the conservation group Historic Environment Scotland (HES) have expressed cautious optimism regarding the possibility that the structure can be saved and restored. For now, the school is working hard to stabilize and salvage what can be saved from the structure.